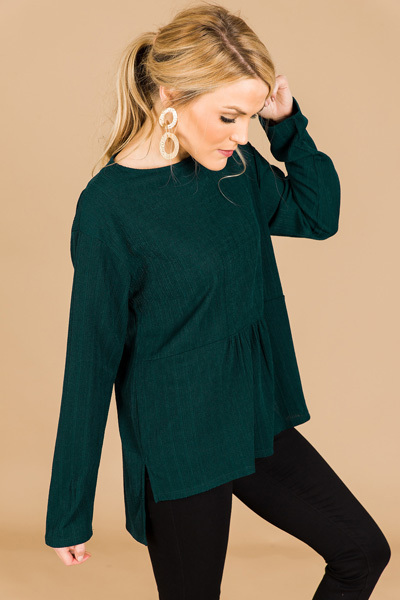 The prettiest holiday green hue + a babydoll fit have this top as a winner in our books! The ribbed texture and relaxed fit gives it styling versatility to be dressed up or worn more casual, and the hemline is longer in the back for some added coverage. Fit is roomy and fabric has stretch. Model is wearing size small.